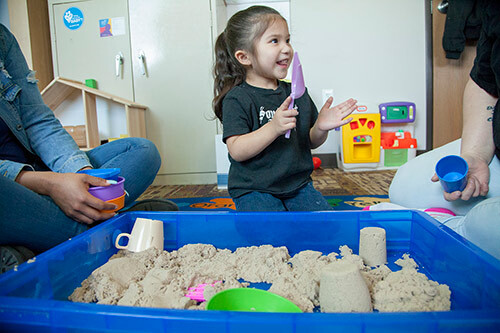 When Christa Garcia first enrolled her daughter Olivia in our Early Childhood Mental Health program, it was ordered by the court. 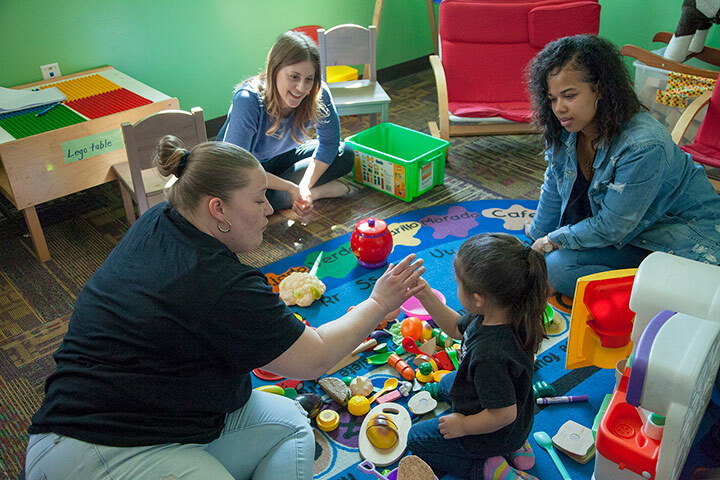 The Early Childhood Mental Health (ECMH) program provides home-based clinical services to families with children birth to six years old. It also serves pregnant women. Services are offered in both English and Spanish. Olivia is three years old. A year after she was born, Christa experienced postpartum depression and didn’t know how to cope. She self-medicated through substance abuse, leaving Olivia with her husband at home when she went out to get high. The drug use got her in trouble with the law. Christa has been clean for year now, and she’s determined to lead a different life going forward. She is 34. The ECMH clinician working with Christa and Olivia is Amber Williams. Through play activities, Amber guides Christa so she can develop a nurturing, strong and healthy relationship with Olivia. Amber makes suggestions to Christa about how to be more engaged and attentive in her interaction with Olivia, how to incorporate words and language into the activities, and how to reinforce Olivia’s curiosity and abilities to enhance her self-esteem and natural love of learning. Amber also counsels Christa about appropriate discipline that is caring but firm, good parenting strategies, the importance of patience, and understanding developmental needs, transitions and milestones. Christa credits the ECMH program with improving her and daughter’s behavior and relationship in many ways. Olivia celebrates an accomplishment during an ECMH session. She is seated between clinician Amber Williams (left) and her mom Christa. Studies show that the development of social skills and the ability to regulate one’s emotions are very important for a child’s future success in life. Like many parents participating in our ECMH, Christa has experienced trauma in her own life. She has come to understand how that trauma negatively affected her relationship with her daughter, even though her deepest desire is to protect Olivia from harm and to help Olivia become successful. For more information about ECMH, email Caroline.